As your local preventative dentist in Vienna, Dr. Naik is dedicated to serving her community using gentle dental care and modern dental technology. Patients experience comfort, peace of mind and savings when larger dental issues are prevented with six month cleanings, regular checkups and other forms of preventive care. Every patient deserves to achieve their optimal level of dental health at Priti Naik DDS. When you contact (703) 288-1800, our staff is happy to schedule an appointment with your gentle dentist in Vienna, Falls Church and Tyson’s Corner. What is Preventive Dentistry And How Does It Help? You may wonder why it’s important to come in to see the dentist every six months for regular dental checkups, especially if you haven’t had a cavity or dental issue before. In reality, dental health is a collaborative effort! Just as a six month oil change keeps your car running smoothly, a six month cleaning from your dentist allows for a professional assessment of your oral health using advanced dental treatment methods. At your six month cleaning and exam, Vienna preventative dentist Dr. Naik is able to provide gentle treatment to support positive memories at the dentist and more confident visits with healthier teeth and smiles. 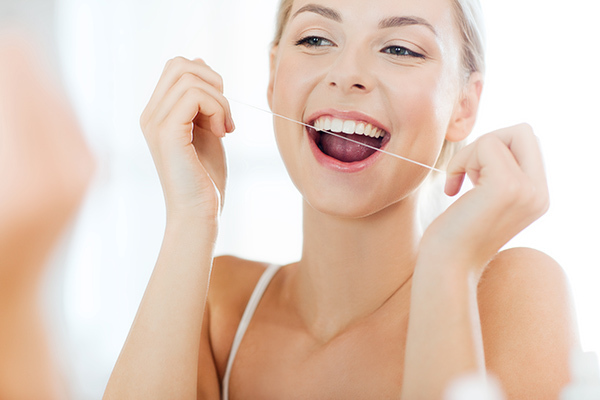 Dental Cleaning: By removing the tough-to-reach buildup of plaque, bacteria and other dental calculus or tartar around the teeth, it is not allowed to break down the enamel or cause tooth decay or gum disease. In circumstances where gum disease or periodontal disease is present below the gum line, scaling and root planing (or deep cleaning) is used to carefully remove the causes of inflammation or swelling and prevent larger dental issues from occuring. ‍Digital Dental X-rays: At Priti Naik DDS, digital x-rays use up to 90% less radiation than traditional film x-rays for a more safe and comprehensive assessment of each patient’s dental health. ‍Gum Disease & Sore Gum Therapy: If you have noticed any symptoms of gum disease, such as reddened gums, gums that bleed after brushing, or receding gum tissue that exposes more of the tooth structure, our team offers periodontal treatments. After treatment patients may experience less inflammation of the gums, reduced risks for periodontal disease and lessened redness or discomfort around the gums and teeth. Gum disease affects a majority of adults in America today. To best treat and prevent this chronic condition, brush and floss regularly and attend your biannual dental visits! ‍Dental Fillings: Our composite resin tooth-colored fillings look and feel natural. They can be dyed to match the color of your existing teeth and keep your smile healthy for years. Used to restore tooth decay such as cavities (dental caries) or to replace amalgam or silver fillings, our dental fillings are sure to make you smile. When you come in for your six month checkup at Priti Naik DDS, our team of Vienna preventative dentists and hygienists believe you should always be in the know about your dental health and treatment options. You have the final say in what treatment to move forward with, and when you receive care from our team, we will work with you to help you feel comfortable, informed and confident about your dental health. At Priti Naik DDS, we go beyond the role of your local Vienna preventative dentist to provide quality dentistry in a safe and comforting environment. Our patients come first, and our team works together to provide the best possible care, no matter their dental needs. If you or a loved one is due for their six month checkup, give us a call at (703) 288-1800! We look forward to caring for you and your family. Dr. Naik is the Vienna dentist you’ve been looking for – offering general, cosmetic and restorative dentistry for all members of your family. It’s never too early (or too late!) to start caring for your smile, let us help you keep those pearly whites sparkling! Call and schedule an appointment with Dr. Priti Naik today! The team helps families with their smiles in multiple towns including Vienna, Tysons Corner, Falls Church and beyond.